Fine bands of very light blue and white. Blue lace agate is not enhanced. 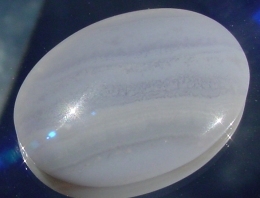 Blue Lace Agate is a member of the Agate gemstone family. With bands of violet and white.